The Premier is the king among the best manicure sets. 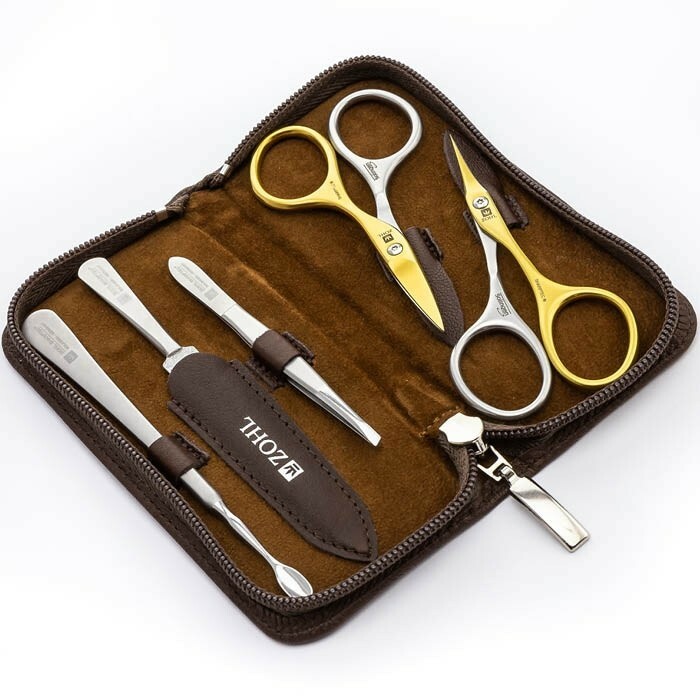 Authentic Solingen manicure kit is hand crafted in Germany and includes the best manicure instruments for long lasting and reliable performance. 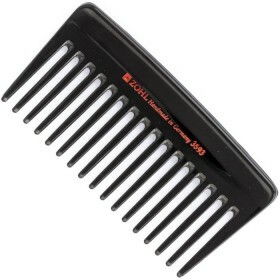 Made of very strong grade stainless steel, it is rust proof and keeps the blades sharp for many years without any need of re-sharpening. 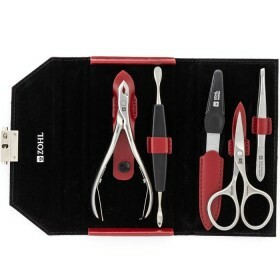 The special feature of this set is the self-sharpening effect of the manicure scissors. 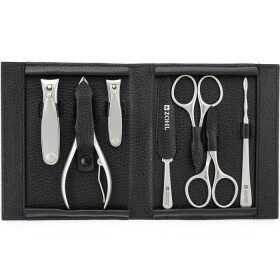 With one blade made of strong titanium, the scissors self-sharpen with every closing, priming the edge for a perfect cut. 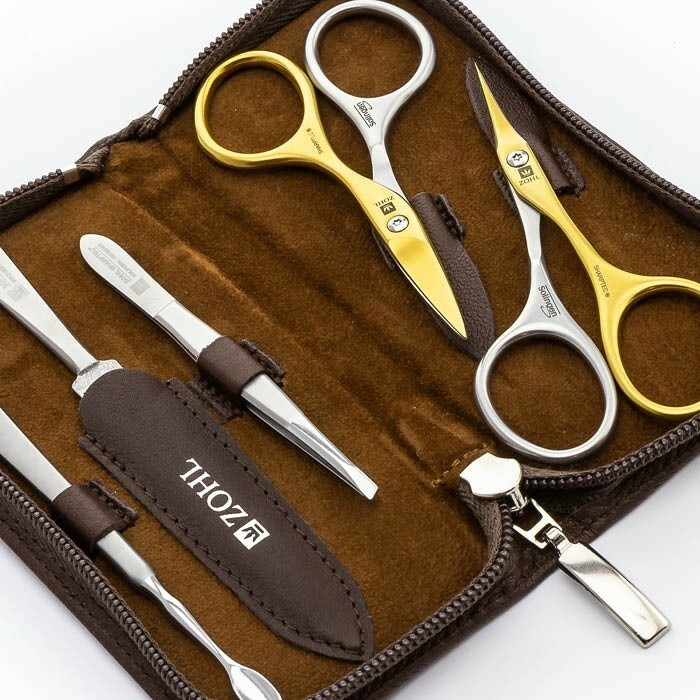 Thanks to this unique technology, they last twice longer without sharpening, meaning this is undoubtedly going to be the best and most premium manicure set to keep in your personal care kit. 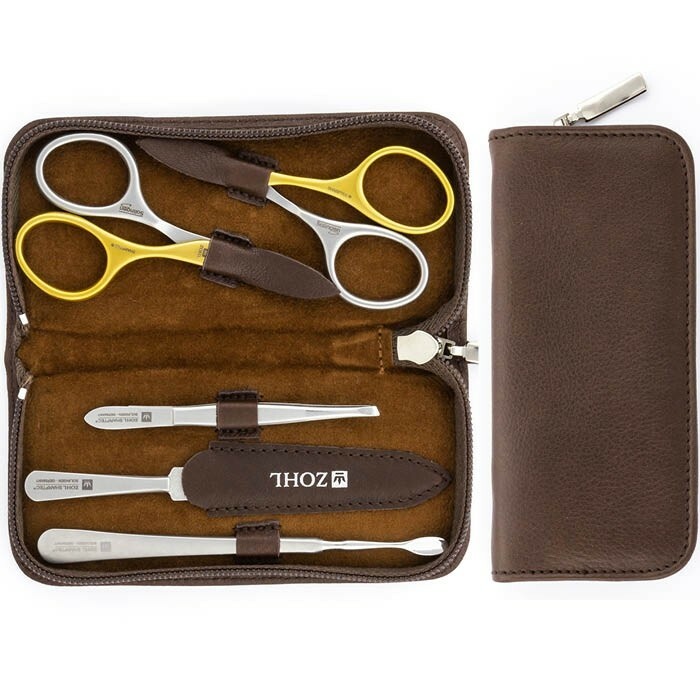 Luxury Solingen manicure set Premier is a statement of dignity, quality and performance. 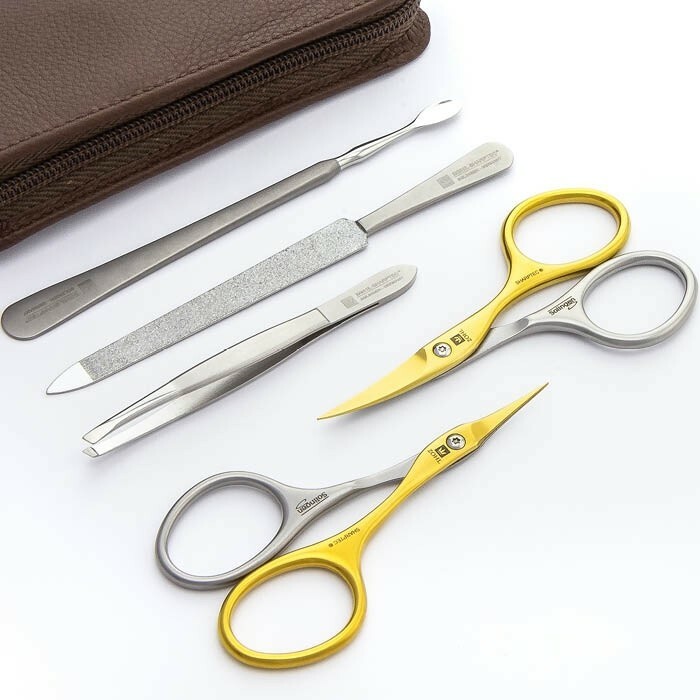 It is skilfully made in Germany of premium surgical steel and contains the highest quality manicure instruments for complete fingernail care. Authentic Solingen craftsmanship is a guarantee of exclusive quality controlled and protected by the German Government. Only products that are manufactured under Solingen Decree are entitled to carry the name “QUALITAT. 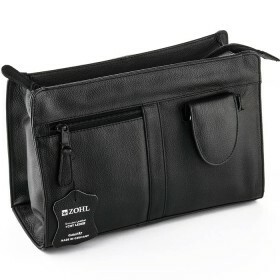 Made in Solingen”. 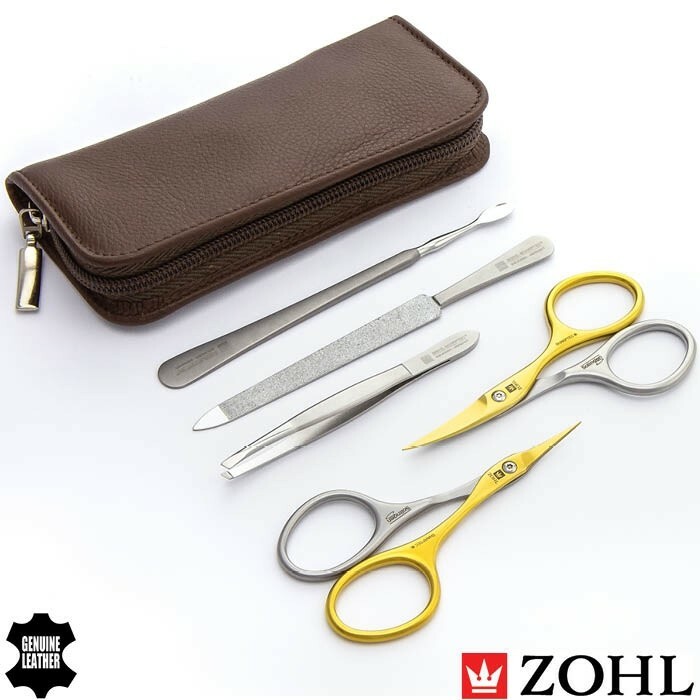 By purchasing the original Solingen manicure set like Premier by ZOHL, you make a smart investment into undoubtedly top quality the world has seen. 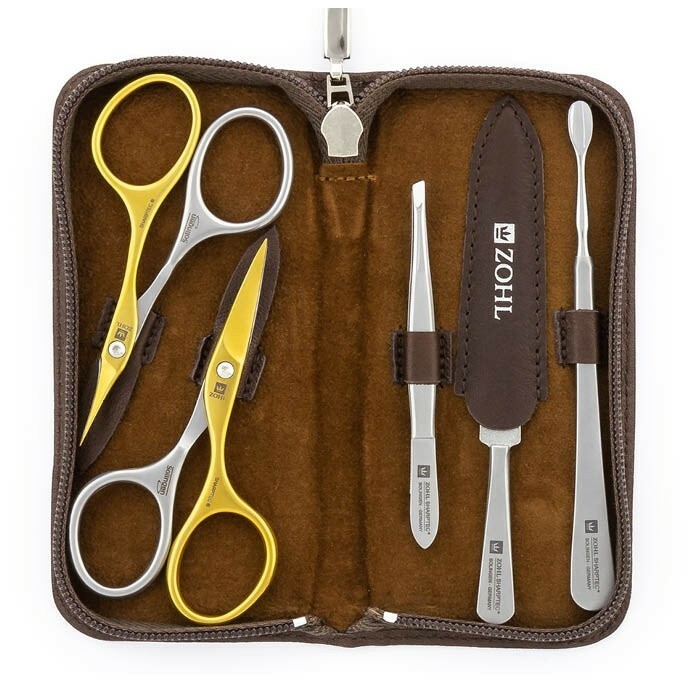 Meticulously sharpened and durable cutting edge is what distinguishes all SHARPtec manicure sets by ZOHL. The Premier goes a long way forward by accommodating the features of SHARPtec nail tools and offering the self-sharpening effect every time you open and close the nail scissors. One blade made of super strong titanium, it re-sharpens the other blade and prepares the cutting edge for a clean and smooth cut. 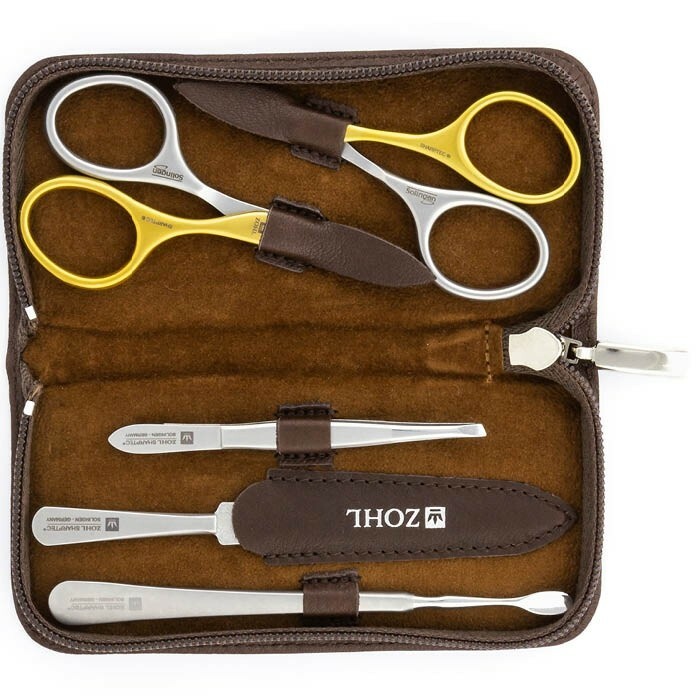 This means the scissors will last twice longer without sharpening and will most likely be your lifelong companion will proper care. 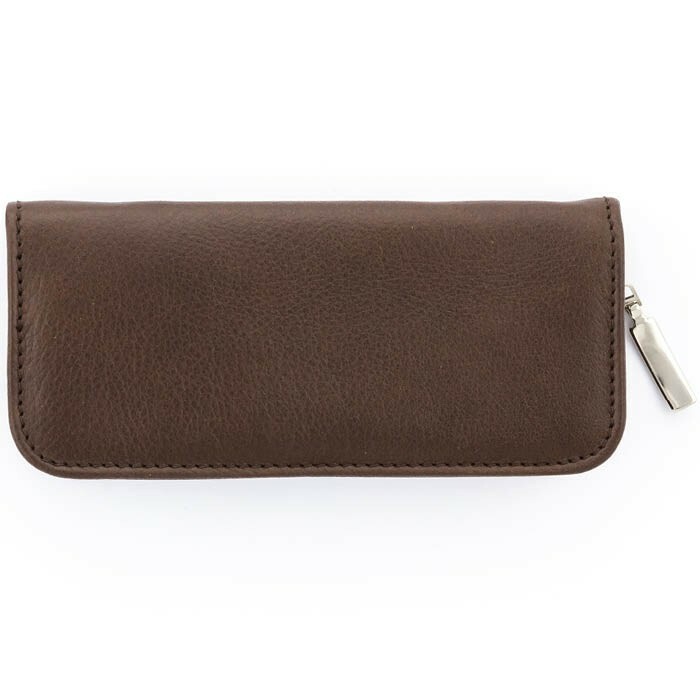 Beautiful presentation in the elegant brown leather case highlights long lasting quality of the nail instruments inside and makes a perfect gift for anyone who values the best quality close to their skin. Slant Tweezers (9cm) – the best eyebrow tweezers that outperform all high quality tweezers, according to our customers.